During this talk, I explain how the Group Replication replication works. This is a theoretical talk in which I explain in details what replication is and how it works. I discuss what certification is and how it's done. What is XCOM and GCS? What is the benefit of Single Primary Mode? What are the caveats of such replication? Why is Paxos Mencius more efficient than Totem? Is it always? After this presentation, the audience should be comfortable with the technical terms and understand how does it work. Don't miss this talk, the magician will reveal his tricks! 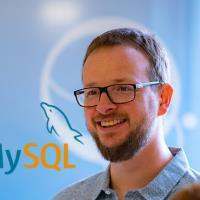 Frédéric Descamps is MySQL Community Manager for EMEA & APAC. He joined the MySQL Community Team in May 2016. "@lefred" has been an OpenSource and MySQL consultant for more than 15 years. His favorite topics are High Availability and Performance.